Joni Pajarinen is a research group leader in the Intelligent Autonomous Systems (IAS) lab at TU Darmstadt. Joni's work on reinforcement learning, planning under uncertainty, and object manipulation at IAS started in January 2016. Joni is the Principal Investigator of the DFG (German Research Foundation) project 'Robot learning to perceive, plan, and act under uncertainty' ROBOLEAP project. Joni is involved in the 'Robotic Manipulation for Nuclear Sort and Segregation' RoMaNS project and is also participating in the aDDa project, which aims to build an autonomous car at TU-Darmstadt. Current autonomous robots are capable of tasks such as vacuuming or cutting grass. However, the ultimate goal of fully autonomous robots that can enter an unknown unstructured environment and clean up toys, arrange objects in the kitchen, or segregate waste remains still far away. In a partially unknown environment a rational robot needs to plan its actions so that the robot learns about the environment while performing its assigned tasks. This kind of planning is especially challenging in environments where many objects occlude each other, such as when segregating waste. In order to perform tasks in heterogeneous environments, such as homes, a robot could first gather information about everything in the environment and then perform the tasks assigned to it. However, this is highly inefficient. If the task is to move an object a small distance on a table, it may be enough for the robot to learn how the object behaves when pushed, not learn the parametric friction model of the object. Similarly, for a robot to bring a cup of coffee to a human, the robot does not need to learn the location of the restroom. Instead, the robot can plan to learn the relevant locations while performing the task. Deciding what to learn, and when, is challenging for robots. My goal is to help robots understand what they need to learn in order to perform their assigned tasks, and, thus, make robots capable of operating on their own. 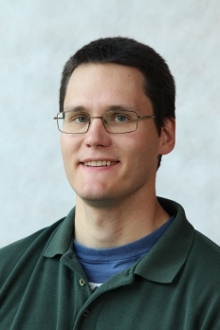 Joni Pajarinen joined IAS/CLAS after completing a postdoctoral period from 2012 to 2015 in the Intelligent Robotics group at Aalto University in Helsinki, Finland, where he worked together with Ville Kyrki. Before joining the Intelligent Robotics group Joni was working on his thesis "Planning under Uncertainty for Large-Scale Problems with Applications to Wireless Networking" from 2008 to 2012 at the Department of Information and Computer Science at Aalto University and was instructed by Jaakko Peltonen and supervised by Erkki Oja. In 2012 Joni was working at the Nokia Research Center for seven months. Prior to his doctoral studies JP was a software developer.